liberate weapons and supplies in an arms storehouse, purported to be there. This combined mounted infantry, cavalry, and artillery force laid siege to the town and the fortifications on Hereford Hill. Before dawn on October 15, Confederate artillery opened on the town and Rebels advanced on Glasgow by various routes, forcing the Yankees to fall back. The Union forces retreated out of town and up the hill toward the fortifications on Hereford Hill. 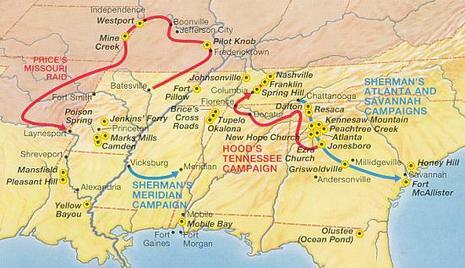 There they formed a defensive line in this area, but the Confederates continued to advance. 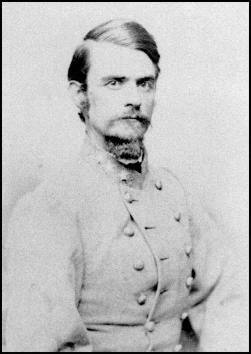 Convinced that he could not defend against another Confederate attack, Col. Chester Harding surrendered around 1:30 pm. Although Harding destroyed some Federal stores, Price’s men found rifle-muskets, overcoats, and horses. The Confederates remained in town for three days before rejoining the main column with new supplies and weapons and marching on towards Kansas City. The victory and capture of supplies and weapons were a boost to Price’s army's morale. The Battle of Glasgow was fought on October 15, 1864, in and near Glasgow, Missouri as part of Price's Missouri Expedition during the American Civil War. Although the battle resulted in a Confederate victory and the capture of significant war material, it had little long-term benefit as Price was ultimately defeated at Westport a week later, bringing his campaign in Missouri to an end. The battle of Glasgow was a part of Price's Missouri Expedition, a raid by Confederates under the command of Major General Sterling Price into Missouri which began on 19 September 1864.Price's primary aims were to recruit men from pro-Confederate areas of northern Missouri, capture the Federal arsenal at St Louis, and seize animals and supplies for Confederate use. He hoped that his raid might relieve the pressure on Confederate forces in Tennessee, Georgia, and Virginia by diverting Union troops to fight him; he also hoped his raid would influence the November presidential election, by reducing support for Abraham Lincoln. After sustaining heavy casualties during the Battle of Fort Davidson, Price turned away from St. Louis, and headed towards Jefferson City, the state capital. Nearing his objective, Price concluded that it was too heavily defended, and ordered his troops to move further west towards Lexington and Kansas City. At this point, Price detached troops from his army to capture the city of Glasgow, on the Missouri River, having been informed of a storehouse there containing weapons and supplies. A Union garrison of 800 men was located in Glasgow, under the command of Colonel Chester Harding. The size of the Confederate forces engaged against them was reported as being between 1,500 and 1,800 troops including infantry, cavalry, and artillery. These were commanded by Brigadier Generals John Bullock Clark, Jr., and Joe Shelby. When the Confederates reached Glasgow, they laid siege to the town. Four pieces of Rebel artillery commenced shelling the city at 5 AM on October 15, 1864, and continued firing until 1 PM. Additional cannon were deployed to support the infantry assault, which began at 7 AM as Rebel soldiers advanced into Glasgow from multiple directions. Hereford Hill, a nearby promontory which the Union soldiers had fortified, was also brought under attack. After fierce resistance, the Federals were compelled to fall back from the town to their breastworks on the hill, but not before blowing up the Glasgow city hall, which they had been using to store their munitions. The ensuing explosion destroyed a half-block of downtown Glasgow. Once atop the hill, the Union troops formed a line of defense. However, as the Confederates continued their steady advance, Harding became convinced that his forces could not win and accordingly surrendered his command at 1:30 PM, upon receipt of generous terms from his foes. The Confederates occupied Glasgow for three days, taking 1,200 muskets, 1,200 overcoats, and 150 horses before leaving to rejoin Price's command. A Federal steamboat captured at the Glasgow wharf was burned. Captain G.A. 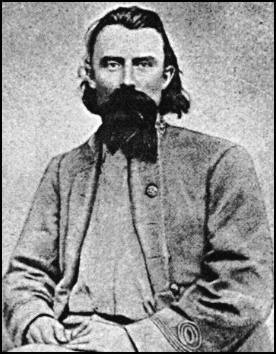 Holloway, U.S. Adjutant General, testified to the "uniform, kind and gentlemanly treatment" the Federals received at the hands of Clark and Shelby. The paroled Union troops were permitted to retain their personal property, and officers were allowed to keep their sidearms after the surrender. Clark equally permitted his defeated foes to proceed by any route they might select to Union lines at Boonville, and promised not to disturb private property or citizens remaining in the town. The Confederate victory at Glascow and the captured supplies proved a boost to the Confederates' morale, especially after their failures to take St. Louis or Jefferson City. Price's army would continue to advance through Missouri, but the high losses in men and material at the Battle of Westport on 23 October 1864 finally convinced Price to withdraw his forces from the state. During the retreat, Price's men were attacked repeatedly by Union troops as they made their way through eastern Kansas and southwestern Missouri into Arkansas. Price had not been able to gain enough recruits to replace his losses, and the large number of troops deployed against him in Missouri had solidified the already-formidible Union hold over that state. Hence, Price's raid would ultimately be described as being "barren of results". Although a bright spot in an otherwise rather dismal campaign, the Battle of Glasgow is considered to have been at best a "token" victory, though it did provide Price's forces with much-needed supplies.